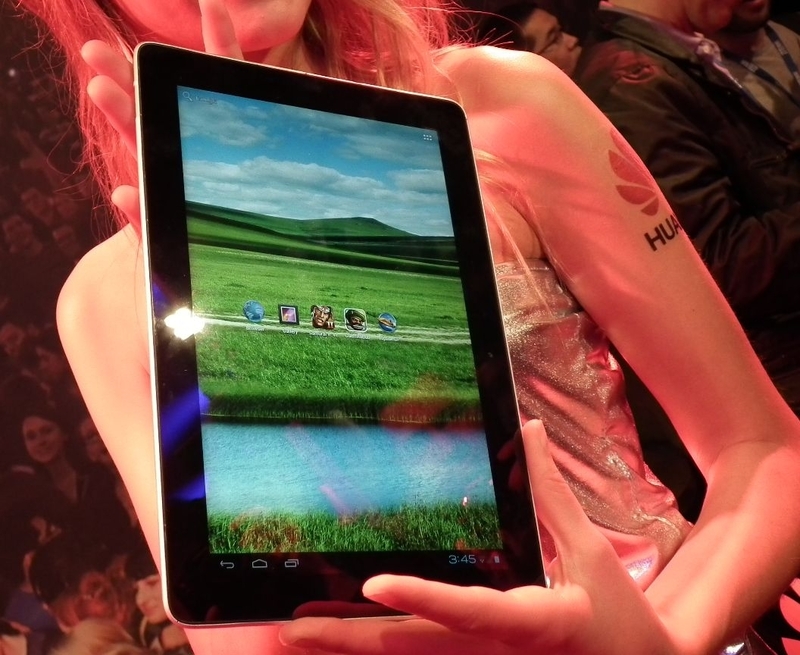 Huawei launched an awesome tablet featuring 10 inches IPS display and FHD quad-core power. Huawei MediaPad 10 is 8.8mm thin and has a strong aluminium-alloy body. The device runs Google’s popular Android 4.0 Ice Cream Sandwich operating system. The tablet comes with a brilliant 1920 x 1200 pixels HD display with 16: 10 ratio. Huawei MediaPad 10 FHD quad-core tablet is powered by a K3v2 Cortex-A9 1.4GHz quad-core processor with an inbuilt 16 core GPU. The hardware features of the handset are in a sufficient position to playing latest mobile games and multi-tasking smart tab options. The tablet also enables advanced connectivity option of 4G LTE along with 3G and Wi-Fi. 2 GB RAM and 8 GB internal memory are the richest memory options of the device. Huawei MediaPad 10 has 8 mega pixels camera on the rear with LED flash and auto focus and also a front facing 1.3-mega pixels camera for video calling needs. The tablet includes a standard 6600 mAh Li-Ion battery which provides 10 hours of uninterrupted usage. Huawei recently announced a brilliant 7 inches TFT LCD IPS Capacitive multi-touch display with 1024 x 600 pixels resolution tablet named Huawei MediaPad 7 Lite. The tablet comes with attractive features and advanced options. The seven inches display tab is powered by a Cortex A8 1.2GHz single core processor with inbuilt graphic acceleration. Google’s most popular platform Android 4.0 Ice Cream Sandwich is providing the software support of the handset. Huawei MediaPad 7 Lite also enables a decent memory package for multi-tasking and mobile gaming purpose. The tablet has 1 GB of Random Access memory (RAM) and 4GB internal memory. There is a micro SD memory slot on the tablet for expanding memory capacity up to 32 GB. The tablet sports a 3.2 mega pixel rear camera and 0.3 mega pixel VGA front camera. Huawei MediaPad 7 Lite has a standard 4100mAh Li-Ion battery which provides sufficient user experience without any power disturbance. The tablet is manufactured by a metal unibody shell for protecting accidental damages and weighs 370 grams. 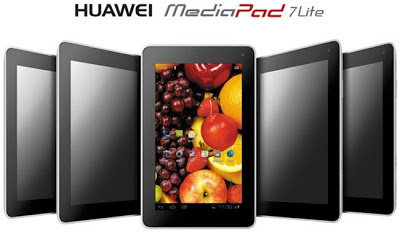 Huawei MediaPad 7 Lite has 193 mm x 120 mm x 11 mm dimensions which is comparatively attractive.